Forget Tata-Rover. 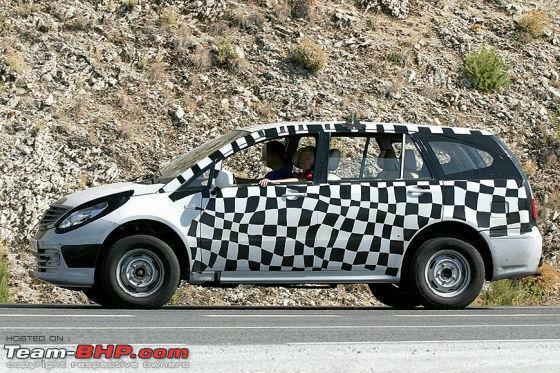 Heres the Tata Xover! 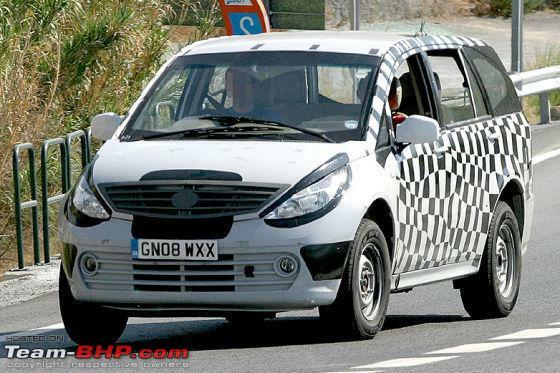 The Indicruz (source Autocar) based on Safari platform looks like Innova, uses 2.2L engine and even will have the 4x4 option. Prices starts at 11lac ? <<Prices starts at 11lac ? No, that should be the topend with ABS + Airbag. Let us hope they meets the quality of Innova. 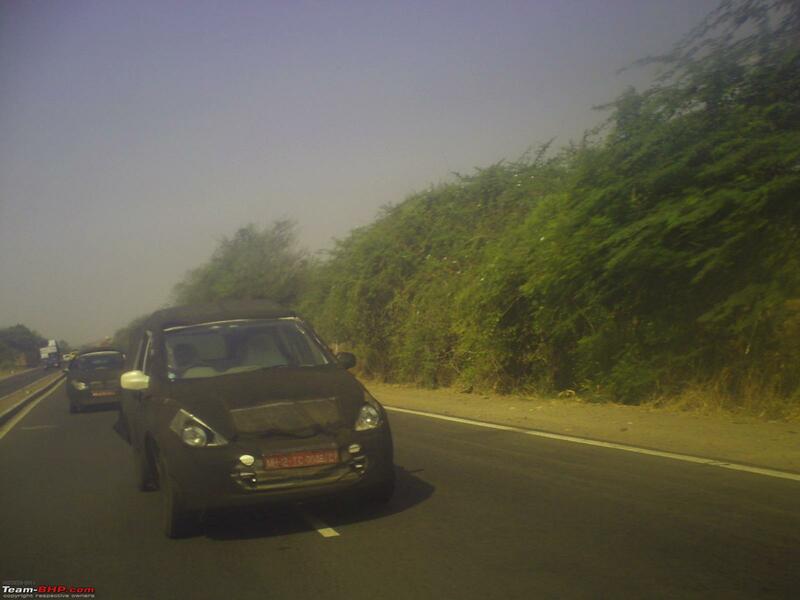 I saw a camouflaged MUVish / Station Wagonish car being tested in Nigdi area (Pune) along with a matt black painted "Nano" last week. Is it a possibility that its the same car ??? Sorry Folks i wasn't able to take pics. 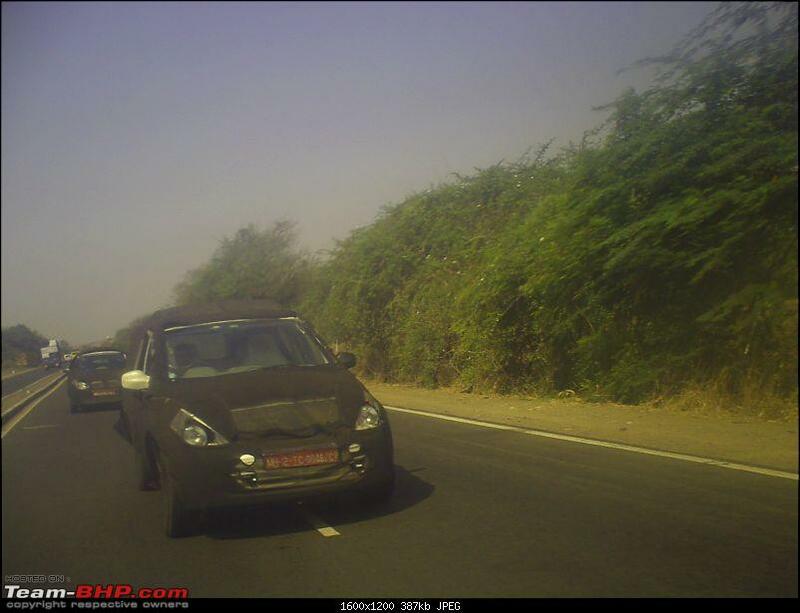 Is this the Tata Indiva / Xover prototype ? Yup, that does look like the Xover. This car is near identical to the spy pics that V16 posted. So are they readying it for a launch anytime soon or they will wait for the Mahindra to do the honours first with the Ingenio? Last edited by aah78 : 26th August 2008 at 22:45. Reason: Posts merged. The X-Over is a nice looking vehicle. atleast in the concept stage. 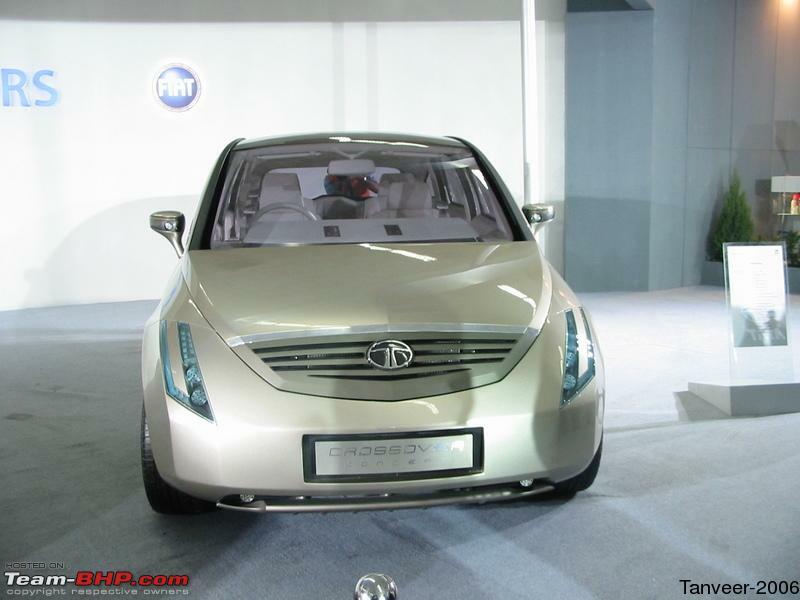 I hope TATA Motors does a good job of bringing it to market without diluting anything from the concept. And, i sincerely hope they don't confine it to the Indian market and thereby design it accordingly and deprive it of it's finer design qualities. The Indian market demands dull and dreary boxes on four wheels, ideally with two bench seats, is my humble opinion. Last edited by nickatnite : 26th August 2008 at 00:01. Note from the Team-BHP Support : Please avoid typing with excessive dots.........like................this. Also, we don't permit external hosting of pictures. 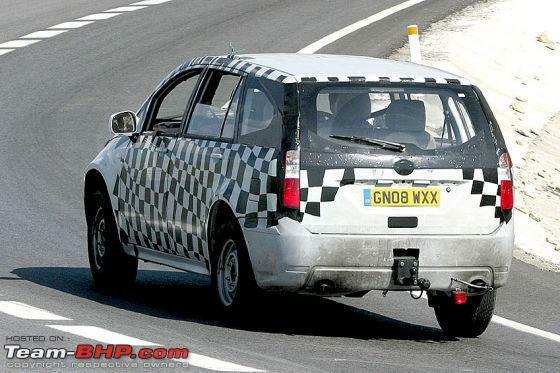 TATA CROSS OVER launched in 2005 Geneva motor show . . . but unlike the INDIVA . . . which is on the Indica platform . . . i guess the cross over is off Sumo grande / Safari platform . . .
Last edited by GTO : 27th August 2008 at 14:36. Nice pictures of the Xover. Any idea about its launch? The 2 anticipated Indian MUVs seem forever to be under testing, which is not necessarily a bad thing. Well no where near to being a Safari replacemment, But if Tata is aiming for the Innova/Ingenio sector theyve got the looks department bang on. Dont know about the Ingenio, but as far as a large MPV/MUV goes thats a decent looking set of wheels, betterlooking than the Innova anyday. But then Innovas are not bought to win beauty contests but for reliability and quality. Keep testing Tata take ure time . Hopefully from the initial reactions to the Vista, Tata has meade great progress with this as well, Fingers crossed. From the twin exhaust outlets is this a higher powered variant of the 2.2 dicor? The tow bar (with proper outlets) option also denotes that Tata is very seriously considering this for Europe where this is an important option in the segment. Either that or I'm ignorant to realise that its aldready available as a factory option for most Indian MUVs. But where will they pit this, if they price it low it will compete against their own not so successful Sumo Grande as well as the Ingenio, any higher they will take the Innove head on. But when is it going to launch in Indian market? Seems to be modern & contemporary, I think Innova will still remain the benchmark. Scissor wipers (very civic like) Though not as neat.. They could have made it more SUV like with a bumper being smaller in height.